Are you looking for what to write in a baby shower card? Sometimes, it can be difficult to figure out good wordings for baby shower greeting card or what to say to congratulate the parents of the child on hearing the news of the arrival of their newest member of the family. This article is of course a comprehensive and original collection of best congratulatory wishes, messages, quotes and sayings for the proud new parents of the child. 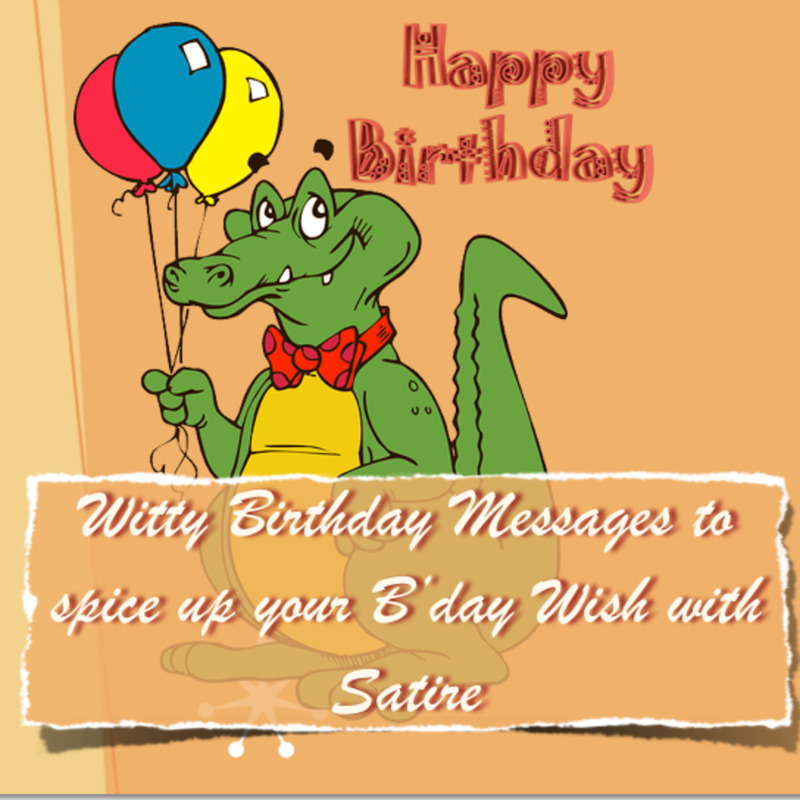 Get your newborn baby greeting card wordings ideas from the list below and wish them best of luck, happiness, success, prosperity and good health in the many years to come. It’s great seeing your dream come true like this. Congratulations on your new baby! 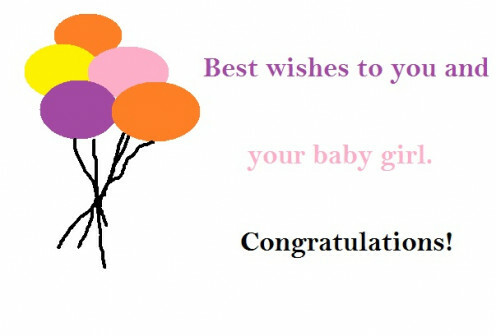 Best wishes to you and your adorable baby girl. Congratulations! I’m so excited to hear about the birth of your bouncing baby boy. Lots of love and best wishes to the entire family. Congrats! 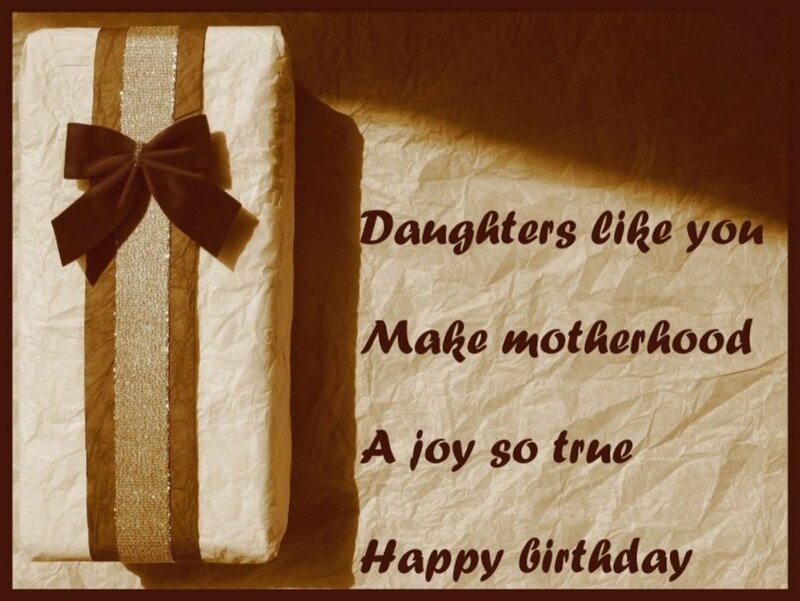 Here’s wishing you sweet times and lots of joy with your new beautiful child. Congrats! Best wishes and lots of love as you watch your family grows. Congratulations on your new baby! We all can’t wait to meet that newest member of the family. Congrats! The birth of your new baby is one of the wonders of God. May He grant you and the child good health! Congratulations! I’m so happy to hear that you’re now a mother of a beautiful girl. God has blessed you with such a cute child to look after. Congratulations! One of your many dreams has finally come true. Congratulations on the arrival of the newest member of the family! May the joy of your newborn baby stay with you forever! Congratulations on your newborn baby! Lots of love and best wishes to the newest member of the family for finding the best parents in the world. Get ready for the first 30 days of sleepless night as you welcome the arrival of the new member of the family. Congrats to you and the newborn! Congratulations to the proud new parents! I wish you and your newborn bouncing boy many years of good health, lots of love and happiness. You’re welcome to the amazing world little one with tiny feet. May you find peace, joy, love and happiness with your new parents! As proud new parents, may your home be filled with much joy, happiness and wealth with the arrival of your newborn baby! Here’s wishing you and your newborn lots of love and happiness. Congrats and happy parenting! Wishing you all the best and with lots of love and happiness as your family grows. Congratulations and happy parenting! Enjoy your new role as parents of a beautiful baby boy. I wish you all the very best. I hope you’re enjoying your new role as parents. Congrats on the safe arrival of your newborn baby! The Lord blessed you with a special gift from heaven because he knew that you would treasure it always. Happy parenting! 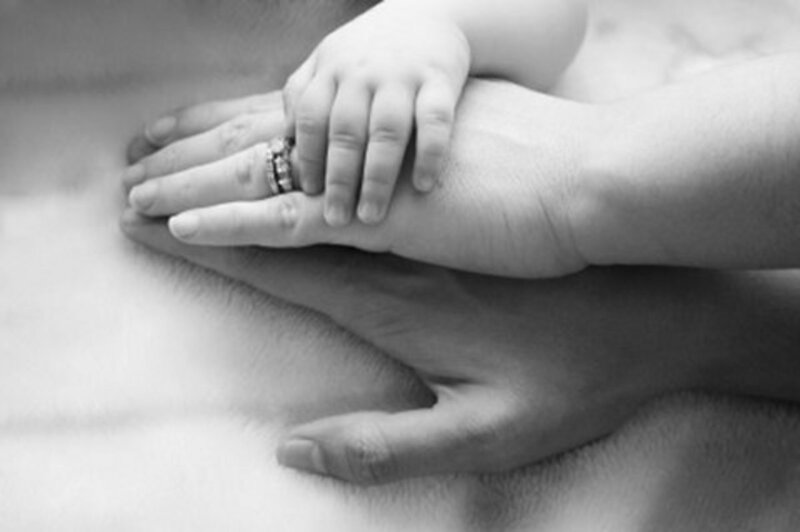 I wish that your newborn child brings everlasting love, glory, happiness and prosperity. Congratulations to the whole family! God has given you the beautiful child to love, honor and cherish all the days of your lives. Congrats the new parents! Sending my warmest wishes to a new happy parents. May the child bring you joy always! Sending congratulations and best wishes to you and your newborn in the many years to come. On the arrival of the new member of the family, I wish that you experience many years of joy and pleasure while taking care of the child. Congratulations! Sending warm wishes and blessings to the newborn and the proud new parents too. Congrats and happy parenting! May God blessings be upon you and the new member of the family! Congratulations! Best wishes to you and your newborn baby. May the life of the child be filled with great achievements and success stories! Lots of hugs and kisses to the newest member of the family. Here’s sending my heartfelt wishes to the proud new parents that received a gift of a newborn baby. Warmest congratulations to the newest parents. I hope you’re enjoying your new role as parents. Happy parenting! May God bless your newborn baby and may the child brings joy, happiness, success and wealth to your home! Congratulations! 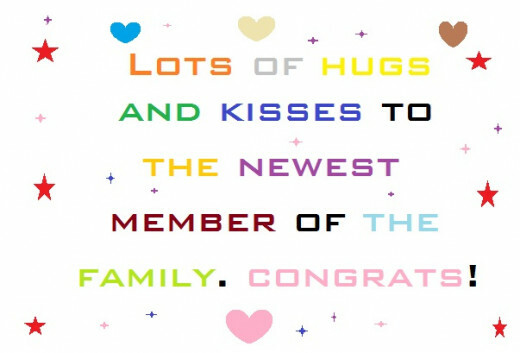 Congratulations on your new baby, and may your days be filled with warm memories and bright hopes for the future! Sending my warmest greetings to you on the news of the arrival of the newest member of the family. Congrats! 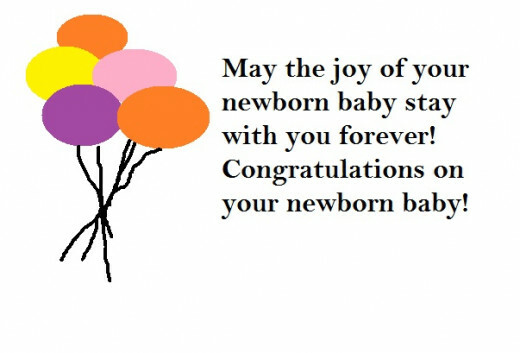 Here’s wishing you and your newborn child lots of love and happiness. Congratulations to the entire family! All the best wishes goes to you and your new baby. I hope you have enough disposable diapers in the house to take good care of the baby. Here’s wishing good health, happiness, success and prosperity in your family with the arrival of the newborn child. I’m so happy for you two. And may your beautiful son brings happiness and joy to you and the whole family! Who have you thrown a baby shower for?